Peter Di Peter started his training in the martial arts in 2005. He holds a purple belt in 10th Planet Jiu-Jitsu under Adlai Cleveland and a purple belt in the Gi under Marcelo Montierro & Hashem Hashemi. 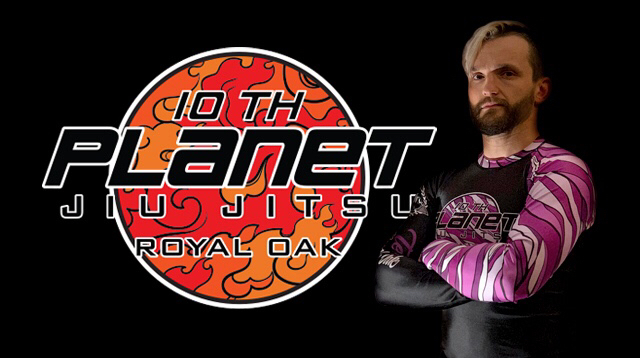 In addition to grappling, Peter has over 10 years of experience in striking arts including boxing, Muay Thai, Savate, and STX kickboxing. A seasoned amateur MMA competitor, Peter has displayed his versatility by racking up multiple wins via knockout and submission. As a firm believer in discipline & hard work, Peter owns a second training facility dedicated to improving physical fitness to supplement success in sports. His extensive experience as a fitness coach includes certifications in personal training and Cross-fit including a CF-L1. Peter’s deep passion for Brazilian Jiu-Jitsu, martial arts, fitness and self-improvement are strongly reflected in his teaching style on the mats.